First-day sales of the 2016 American $1 Coin and Currency Set reached 21,149 units, or 28.2% of the allotted 75,000. 2016 American $1 Coin and Currency Sets include enhanced uncirculated 2016-S Native American dollars. These two photos show one of the dollar’s reverses under different lighting conditions. Native American dollars feature annually changing reverse designs. Sets launched Thursday without a hitch. Collectors reported hassle-free ordering, fast processing, and prompt receipt of confirmation emails. Those who bought early and paid more for shipping were receiving their sets by this morning. The general buying experience was a turnaround from last year when demand for 2015-dated sets bogged down the U.S. Mint’s online system. That set posted first-day sales of 44,344 units. This year’s set includes an enhanced uncirculated 2016 Native American $1 Coin from the San Francisco Mint and an uncirculated Series 2013 $1 note from one of the 12 Federal Reserve Banks. Both are exclusive to the set. 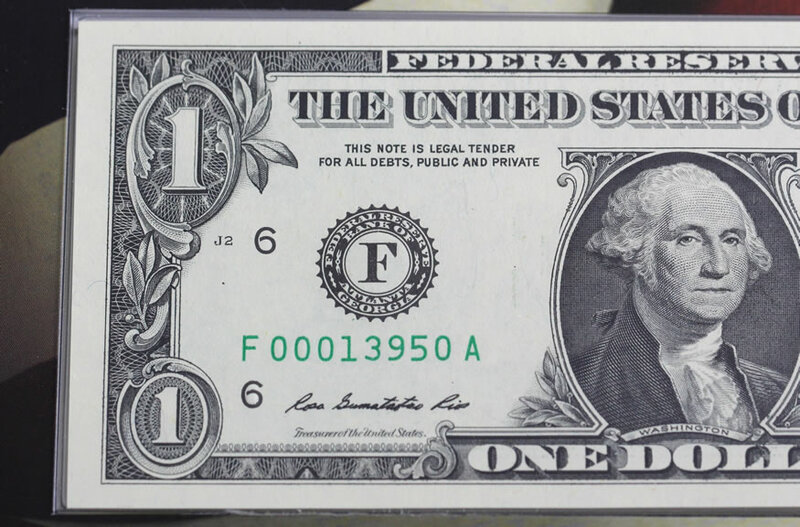 The U.S. Mint is promoting the notes as having low serial numbers. The order crossing our door includes $1 bills from the Federal Reserve Bank of Atlanta with sequential serial numbers beginning with three zeros. Priced at $14.95, the U.S. Mint’s product page for the 2016 American $1 Coin and Currency Set is right here. Stay tuned to CoinNews. We’ll publish more photos of sets next week. Thanks for the update on first day sales & your always high-quality photos! I am very surprised at the low first day sales. This set is great! My 5 sets arrived this morning & the coins are all high quality & I got 4 consecutive serial number notes starting with 00013054 & one note with 00013073. I hope the Mint lifts the household limit soon so I can buy 5 more for gifts. Glad your order shipped quickly too. Please let me know which low serial # notes you get & condition of coins. Thanks! You are so right. 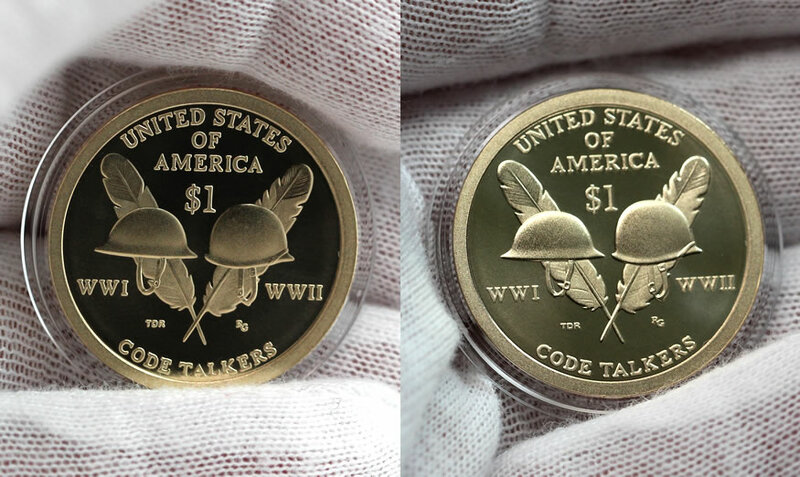 These Enhanced Uncirculated versions are beautiful & should have been done more often. There was a time when the mint set a time limit on ordering instead of a mintage limit. I wish they would do that again with a very short time limit. Like on this set if it had just 24 hours for ordering it might have had a great low mintage. But then again with the time limit everyone that wanted the set would all order in the 24 hour time and the mintage might have been higher than 21,149. No telling how that would have worked out but I think they should try it again. At least they would not have a stock pile of unsold coins. Like you basically said, I hope the Mint didn’t produce all 75,000 sets or they might be in their warehouse for a long time based on low first day sales on this set. You mentioned a time period to order products like the Mint did on the 2012 & 2013 special ASE anniversary coin sets. They took orders for one month & customers could order as many as they wanted & then they made the coins. The sales of those two sets were very high as a result. I still think picking a mintage figure & sticking to it, but putting a 1 per household limit for the first week of sales on special sets is a fair way to do it. The process went very smooth yesterday in ordering the new set. I was happy that it was not a real mess like the Gold Mercury dime. Mike, speaking about the Gold Mercury Dime, have you heard anything T all about what the mint is planning to do about the 8000+ coins that they have left? Do you think if the time period was short, like 24-48 hours, and 1 per household, maybe we could get a low mintage. But then again it might just cause more problems during ordering. A month’s time is kind of long and with no household limit, well that’s asking for a high mintage. I do agree with picking a mintage with 1 per household is the way to go if the mintage is low. But the Mint does not seem to think much about low mintage, real collectible and potential value for our coins. Here’s hoping the online ordering improvement is permanent. We’ll see in a couple weeks when the platinum eagle goes on sale with only 10,000 available. As to time limited ordering two things are needed: a fast responsive online ordering system (which as reported it seems is now up and running) and an advanced product schedule that reaches to the end of the year with actual dates and descriptions for all products rather than nebulous months of release and especially TBDs. With these two criteria met one can plan workarounds for business trips, vacations, or other absences and meet their collecting goals. Since the current “leadership” doesn’t seem to care about the product schedule time limited ordering looks doomed. Yea it seems that the Mint has a problem with being overwhelmed with orders and that they just have no idea how to have good customer service. IMHO the current mint “leadership” is not at all interested in supporting the collecting public. And neither is treasury secretary Lew. I expect the mint should be planning at least 3 years in advance ordering the precious metal planchets. They know the descriptions of all the products most of which only require a minor tweaking from one year to the next. I’m thinking the current “leadership” at the mint is overwhelmed with the volume of coinage the mint is tasked with producing every month and that they may be mentally incapable of dealing with the collector coinage exceptions. Consequently they are deathly afraid to make public any scheduled product date until it is almost upon them. These Senior Executive Service people are simply seat warmers apparently with no goal other than to maintain the status quo which is why the mint has been effectively leaderless since Moy left in 2011. You have some good ideas & suggestions. 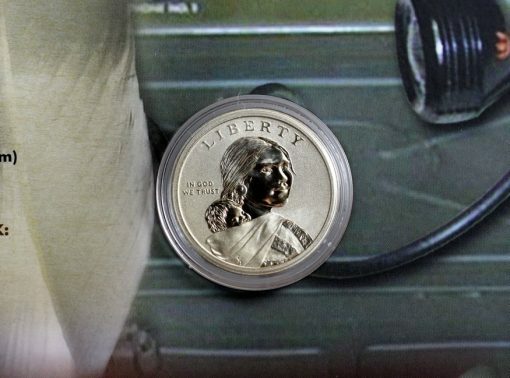 The pre-order option has been done in 2012 & 2013 on special ASE anniversary sets & all it did was cause a very high mintage & not much secondary market value. But, at least everyone got how ever many sets they wanted & it put dealers & collectors & flippers & investors on the same leveled playing field. The key IMHO is whatever the mintage is on a coin or set, it should automatically be a 1 per household limit during first week. That would allow almost everyone to get at least one for their collection.